The WorldRX and EuroRX return this weekend with a record 46 car entry, to one of the countries where rallycross has been huge in 40 years. Together with the regular drivers we have some debutants and some familiar names, all wanting to dominate the interesting track in Hell, Norway. But first we have to take a look at the standings after the first overseas round this year. CanadaRX brought us a huge surprise in semifinal 1, where Petter Solberg, Reinis Nitiss and top qualifier Timmy Hansen crashed out in the first few corners. This is the first time Petter Solberg has not qualified for a final in the WorldRX. Capitalizing on the others misfortune was Tommy Rustad, on a one-off drive for Münnich Motorsport. From sixth on the grid he went on to win the semifinal ahead of Marklund Motorsport drivers Topi Heikkinen and Tanner Foust. The other semifinal was won by Davy Jeanney ahead of Mattias Ekström and Andreas Bakkerud. That makes Bakkerud the only driver to qualify for all the finals so far this year. In our little fantasy game G17 bounced back from a few bad rounds with a win, as the only entry with over 100 points. Sliding-Sideways finished second, and myself a decent third. GiuRX still leads overall, with a healthy 38 point lead. If AntMic and WorldRallyBlog enter the remaining rounds they still have a chance to win, because we drop the four lowest scores from the total. So, let’s go to Hell then. 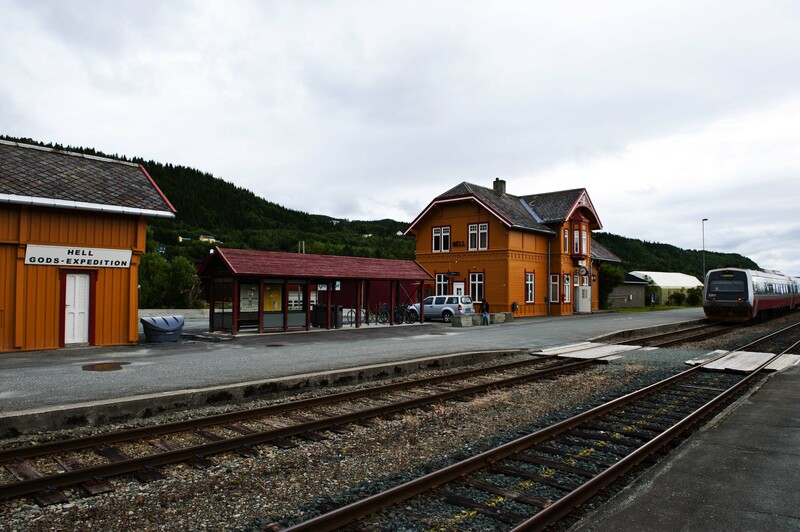 A small place outside Trondheim in the middle part of Norway (a bit too far away from me, unfortunately) with their own train station and racetrack. The track itself is the one with the largest height difference in the series, since it’s almost situated in a hill. This is one of the tracks where the joker lap is in the first corner (much like in Portugal and Lydden Hill), making start positions and tactics very important. The track is made up of 63 % tarmac and 37 % gravel, and is just 1019 metres long. The best lap time last year was 0:39.448, set by Timmy Hansen. It is tight and technical, something that gave Reinis Nitiss the opportunity to win here last year. Interestingly, this is also the favourite track of Liam Doran, so one possible gamble is to pick the British Bomb instead of Mr. Hollywood this weekend. Timur Timerzyanov has been Mr. Spin so far this season, but showed some pace in Canada and did really well in Hell last year. Of course, Timmy Hansen and Topi Heikkinen likes this track, but Andreas Bakkerud had one of his worst weekends here last year. Making it even harder(?) to pick an OlsbergsMSE driver for this event is Henning Solberg, which enters a rallycross race in updated machinery for the first time since San Luis last year. Henning must be a bit rusty at the wheel now, but the raw talent is still there. Janis Baumanis is making his second entry for Peugeot-Hansen, and in EuroRX there might be a chance for the Latvian to get a semifinal spot. Daniel Holten also managed to get enough funding for another entry with “Herbie”, Per Eklunds VW New Beetle. Alexander Hvaal also makes his second entry this season. Both Hvaal and Holten hope to get to a WorldRX semifinal here, to impress the regular teams and sponsors for next year. Ole Kristian Temte enters his second round this year, and will hope to do better than at Höljes, in the old car of Morten Bermingrud. Bermingrud has himself acquired a Ford Focus, and the Norwegian veteran will enter his first round this year. The Norwegian has three wins in European rallycross, though all of them a decade ago. Stian Hafsengen was for a while the king of GATEBIL, but recently he has done more rallying and rallycross. Both him and Norwegian rallycross veteran Ole Håbjørg will enter in a Renault Clio, and Stein Egil Jenssen will drive a Ford Focus. All of these drivers are regulars in the Norwegian Rallycross Championship, and the last round in Arvika was won by Frode Holte ahead of Hafsengen and Bermingrud. Hafsengen was very close to Holte, so he could be one to watch for a semifinal spot in EuroRX. Meanwhile, CircleX seems like a team for Norwegian drivers to give rallycross a go this year. This round we find the duo of Svein Frustøl and Pål Try, who are usually rally drivers on a national level here. Frustøl has 20 years of rally experience now, and finished third in the Norwegian Rally Championship in 2010. Pål Try started out in Norwegian Rallycross about 10 years ago, but switched to rally later. I wouldn’t expect too much from these drivers this weekend, but it will be fun seeing them out there. This event will be broadcasted on livestream from 14:00 CET on Sunday (as usual), and I bet you can follow it on one of the channels on your TV box as well. Watch FIA World Rallycross Championship&apos;s 2015 RXRD8: HELL, NORWAY on Livestream.com. In case you need to know more about rallycross before making your picks for this round, take a look at the season guide. The rules are at the bottom of the guide, but they’re really simple so I can just repeat the most important thing here. You pick six drivers, but you can only pick one driver from each team. Will there be prizes? I’m yet to find anything, but I’ll let you know when I do! In case you want to do an in-depth analysis, I’ve made a statistics spreadsheet for your pleasure. All entrants are listed below, and you can find the official entry list here.